Google will allow users to decide what happens to their data after they die or become inactive online, the first major company to deal with the sensitive issue. The feature applies to email, social network Google Plus and other accounts. Users can choose to delete data after a set period of time, or pass it on to specific people. Internet users around the world have expressed concern about what happens to their data after their demise. "We hope that this new feature will enable you to plan your digital afterlife - in a way that protects your privacy and security - and make life easier for your loved ones after you're gone," Google said in a blogpost. California-based Google also owns YouTube, photo-sharing service Picasa and Blogger. 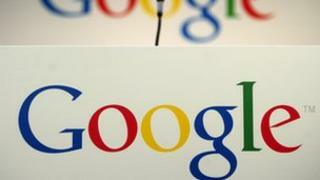 Google said users can opt to have their data deleted after three, six, nine or 12 months of inactivity. Alternatively, certain contacts can be sent data from some or all of their services. However, the company said it would text a provided number or email a secondary email address to warn users before any action is taken. People are increasingly placing content on social networks and data storage facilities hosted in cyberspace, or the "cloud". Other companies have also attempted to tackle the questions that raises after a person's death. Facebook, as an example, allows users to "memorialise" an account. Paris Brown: Could 'right to be forgotten' help?